Home Theater And Automation: 2018 Best Of The Woodlands Winner! Home Theater Best Of The Woodlands, 4 Years Running! 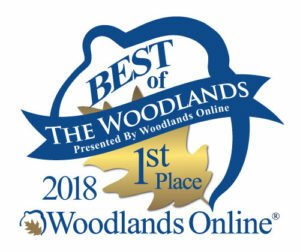 2018 Best Of The Woodlands Results are in! #1 Home Theater and Automation company! A big Whoo-hoo went up around here! As home automation technologies continue to grow, we will continue to expand our skills and knowledge. This will ensure that we continue to be your company of choice when it comes to home theaters and home automation. Whether that’s through Savant Systems and home security installations, or something as simple as having Amazon Alexa or Google Home controlling the TV, you can rest assured (now 4 years running) that we’ll continue to work hard to earn your highest praise. Thank you for making us your Home Theater and Automation Best of the Woodlands company 4 years in a row!